Then you should know that there are resources out there that can help you get your home ready and in tip top shape to get the best possible selling price. Realtors typically know all kinds of people and businesses from roofers, home inspectors to home stagers to prepare your home for sale. But do you? I was at a Realtor’s event recently and met some incredible people who can help you prepare your home when trying to sell it privately. Buyers may also be interested in some of these services like the home inspectors, moving boxes and environmental remediation people. PICTURES & FLOOR PLAN LAYOUT – Brian Brown from Snapd iGuide has a remarkable business that comes into your home and takes professional photos – but the remarkable part is that his photo technology actually measures the dimensions of each room and maps out a floor plan layout of your home. The floor plan layout can be posted on the internet and viewers can click on every room and they will get a virtual view of the entire area. It looks amazing and professionally done for a very low cost. Only $250 for homes up to 2500 sq ft. To me that is a remarkable price for what you are getting. Check out their website at www.snapdiguide.com or just contact Brian at brian@snapdiguide.com / 519-831-7322. www.snapdiguide.com. 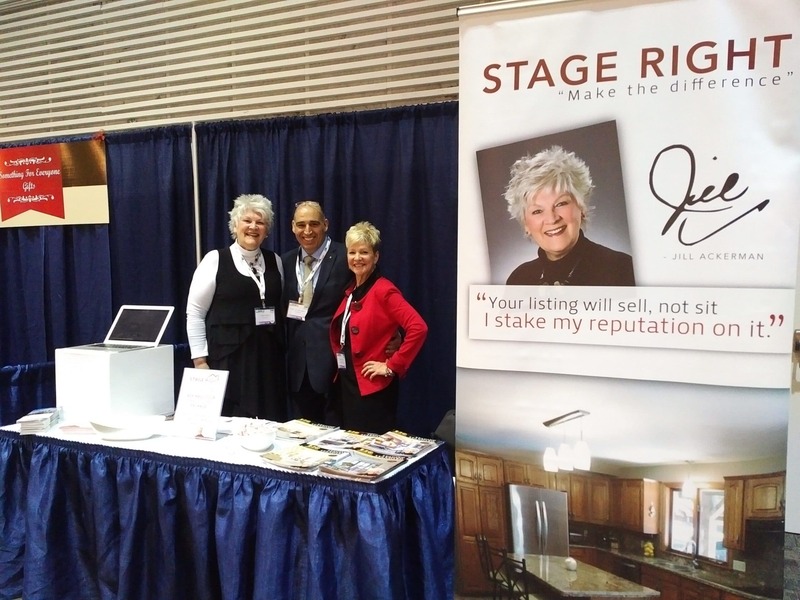 HOME STAGING – And you must meet Jill Ackerman and Shardie Stevenson from Stage Right. Jill and Shardie are remarkable individuals. Jill reminds me of the famous actress Maude. Strong, bright and that golden white main is stunning. Jill will come to your home and, regardless of whether you have moved out or not, she will stage your home for viewings so that it makes the best possible impression on potential buyers. How can you go wrong with that kind of assistance? Just call Jill at 289-880-0500 / jill@stageright2sell.ca or check out her website at www.stageright2sell.ca. SIGN POST & PACKING BOXES – And then there is Jim Osborne who thought he had retired and ended up buying a couple of businesses. One is Smartposts which manufactures lawn signs that advertise your home for sale. They look professional like any other realtor sign. Smartboxes is Jim’s other business which provides a variety of eco-friendly green moving boxes you can rent for packing your belongings. They are strong and easily stackable. You can call Jim at 905-960-1021 or sales@postinstallers.com – or check out his 2 websites: www.smartboxes.ca and www.postinstallers.com. UNWANTED STUFF – Of course, there may be stuff you don’t want to take with you and that is when you want to call my friend, Chris Wade of Goodwill Amity to donate those items. If memory serves me correct, Chris’ team will come out to your home to pick up those generously donated items. You can reach Chris at 905-526-8482 or cwade@goodwillonline.ca. MOULD REMOVAL – I had a great time chatting with two wonderful people, Richard Hughes and Kerry MacMullin. 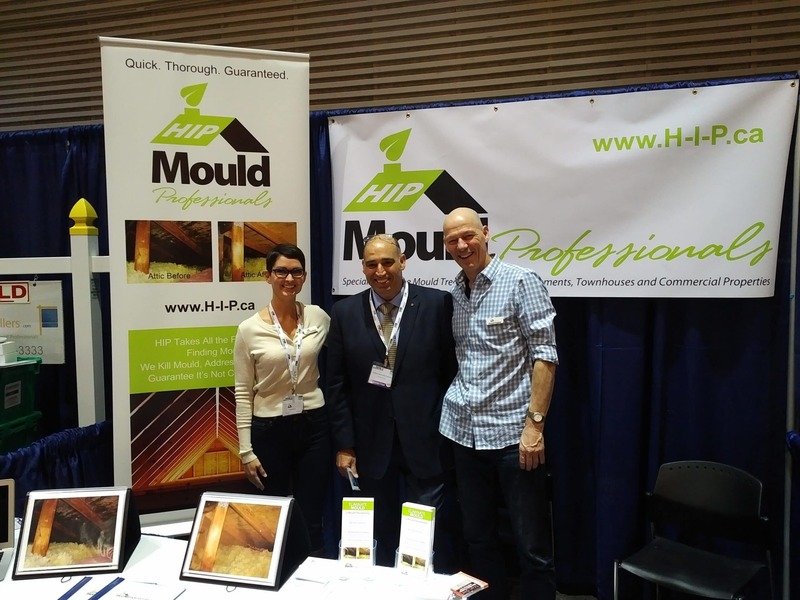 Richard is a bright and engaging fellow who owns and operates HIP (“Home Improvement Professionals”) Mould Pros. Richard’s business is to remove mould from your home. Kerry makes Richard look good by providing him with all the back end support while he`s is on the road. Richard explained that there are a variety of ways to remove mould from homes and he swears by his technique which he says is fully insured, fully guaranteed and certified by a professional engineer. Richard took the time to explain the various methods used and why his method is second to none. Check him out at www.H-I-P.ca or call him at 519-766-2042 or richard@H-I-P.ca. Dan Kern of HomeWorks Inspection Services Ltd. is a registered home inspector who also serves the Burlington, Hamilton & Brantford areas. Dan can be reached at 905-630-8775 or dan@homeworksinspections.ca / homeworksinspections.ca. CMHC – Cathy Aquilina, Account Manager with Canada Mortgage and Housing Corporation provided me with some very helpful information for homebuyers who are putting down less than 20% towards the purchase of a home. Keep in mind that CMHC does not deal directly with homebuyers. CMHC deals directly with the mortgage brokers and lenders. Lending institutions submit the application for CMHC coverage on behalf of the buyers. However, Cathy told me that she regularly speaks at homebuyer seminars and there is great information on the CMHC website. And best of all, there is an APP that can be downloaded by homebuyers called “Ready Set Home”! Visit their website at www.cmhc.ca. NOTICE TO READER: GGS does not assume any liability of having introduced readers to the individuals and/or businesses referenced above. The individuals and/or businesses referenced above are presented for the readers reading pleasure and the reader is solely responsible for exercising their own due diligence and good judgment on whether to engage their services or not. This entry was posted in Real Estate on April 1, 2016 by ggslaw987.